Join the meal plan subscription service here. Get in the best kitchen shape of your life and conquer your next 5000 Meals with my online program. Need to get started (or re-started!) 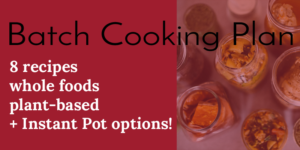 with batch cooking? 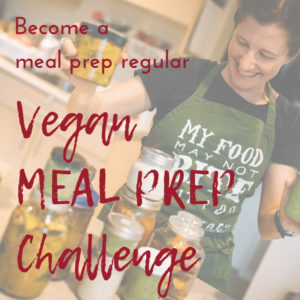 Join the Vegan Batch Cooking Challenge! It runs twice a year and it’s totally free. Wasting too much food? There’s a challenge for that, too. 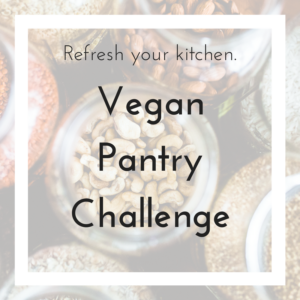 –> Vegan Pantry Challenge. Interested in being interviewed or submitting a guest post? Email me.